Welcome to the Good Dog Partner Portal! 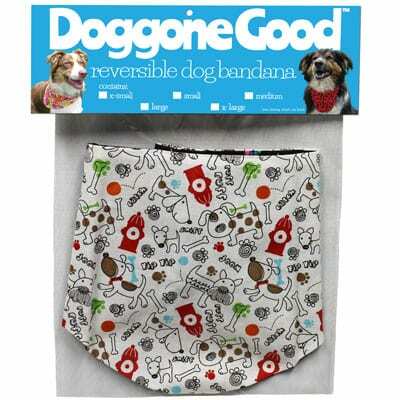 Wholesale Partners can purchase Good Dog merchandise for resale. You must be an approved Wholesale Partner to access our wholesale pricing below. If you’d like to sign up for free, just fill out the Wholesale Partner Form. Online Partners can earn a 10% commission from purchases made by traffic they refer to Good Dog’s website. Blog about us, place provided graphic banners on your site, send out an email…promote us and earn. We’ve created several online educational programs for dog owners that we provide free to our Online Partners to use on and offline. We invite you to share these materials with your clients. All we ask is that you retain our branding if you use them offline, so you can earn commissions if clients purchase from our online store. 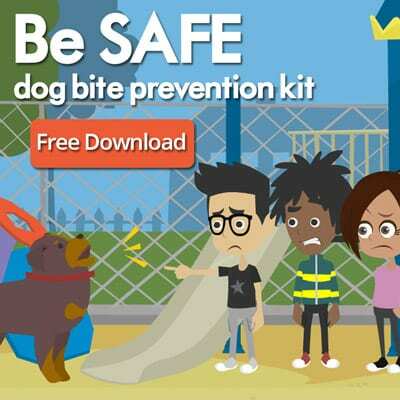 SAFE is a dog bite prevention program for children. 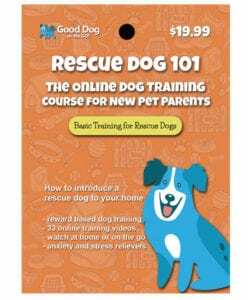 It features fun and engaging animated videos, eBooks, games, and activities to teach how to stay SAFE around dogs you know, dogs you don’t know, and how to stay SAFE with your dog while playing Pokemon Go. Welcome Home is a series of online training videos for new dog parents. The positive reinforcement training exercises walk people through what to do with their new dog in the first two weeks, to help him or her adapt to a new home. 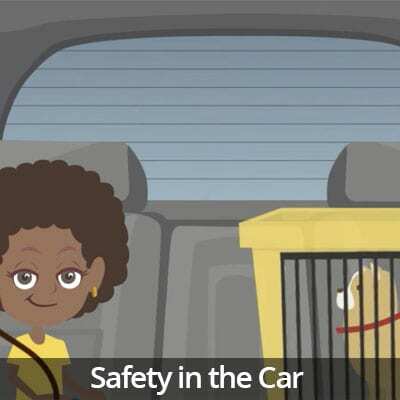 The Responsible Pet Owner animated video series was developed as a fun and engaging way to teach children about what it really means to own a pet. If you’re new to the Good Dog Partner Program, we suggest watching our videos that walk you step-by-step through placing links on your website and sharing posts in social media. The retail version of our monthly subscription box. 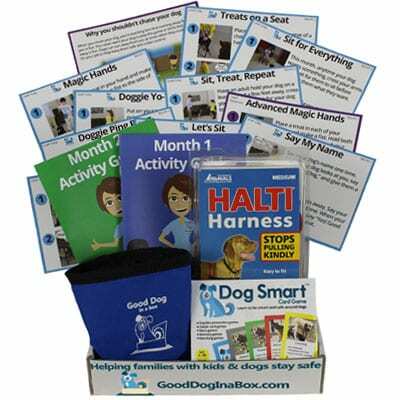 This two month box provides training materials, tools, and online videos for two months of reward based dog training for families with kids and dogs. 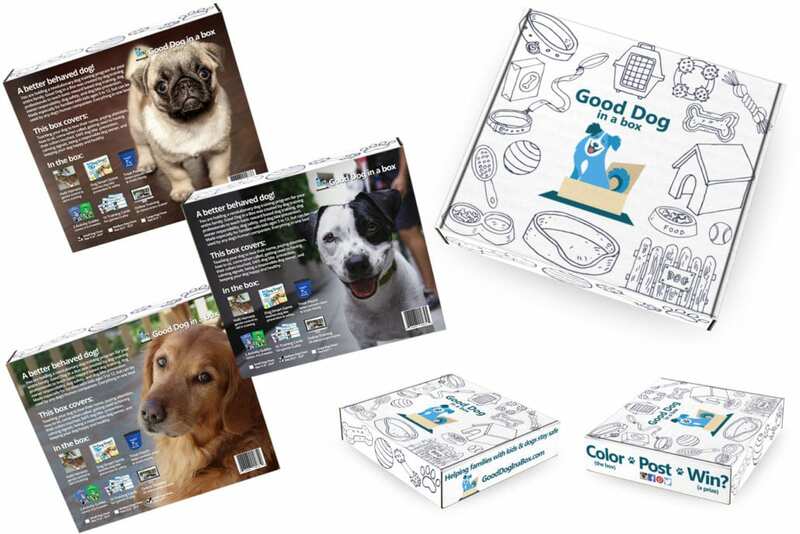 Wholesale accounts have recurring revenue opportunities for up to six months with 10% commission on any purchases customers make at GoodDogInABox.com after your initial in-store purchase. 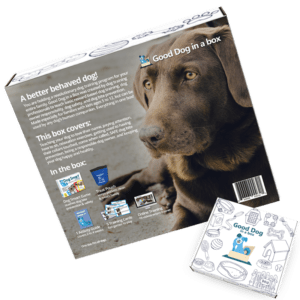 A one month version of our Good Dog in a Box reward based dog training program. Training games, online videos, training tools, activity guide, and a whole lotta fun. A fun way to sell reward based, online dog training. These gift cards have a unique number that gives the holder access to an online account with video training. 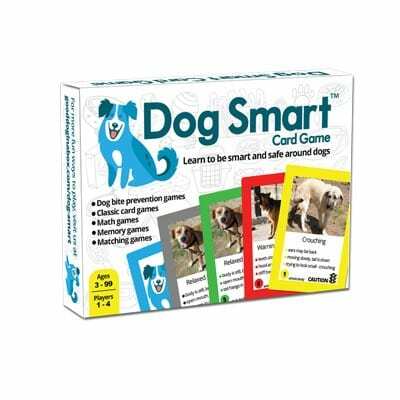 Learn dog bite prevention in this fun card game. Dozens of ways to play. 108 cards per deck featuring pictures of dog body language. 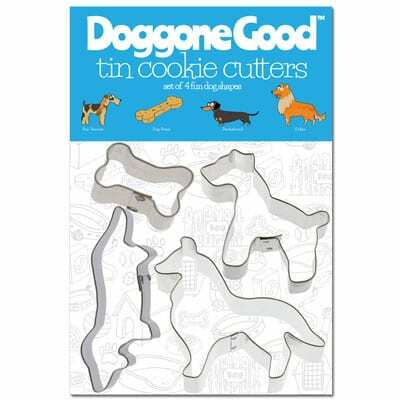 Tin cookie cutters hand crafted in the USA in four fun dog shapes: Collie, Fox Terrier, Dachshund, and a dog bone. 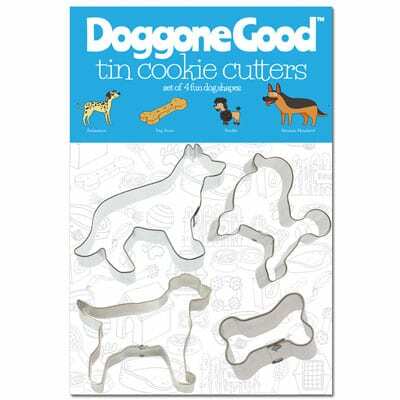 Tin cookie cutters hand crafted in the USA in four fun dog shapes: German Shepherd, Poodle, Dalmation, and a dog bone. 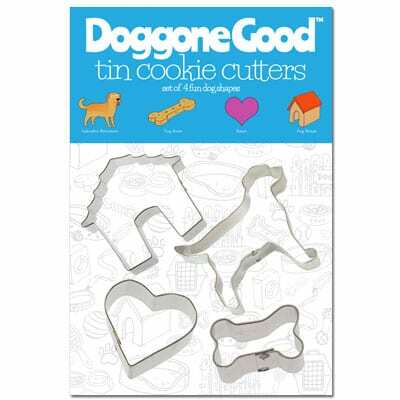 Tin cookie cutters hand crafted in the USA in four fun dog shapes: Labrador Retriever, dog house, heart, and a dog bone. 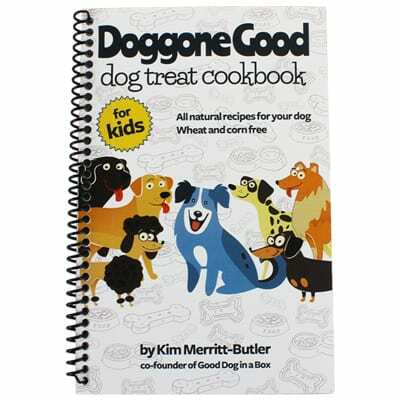 Our new cookbook for kids and kids at heart features 24 pages of all natural, wheat and corn free dog treat recipes to use in reward based training. Hand made by seniors in the USA out of 100% cotton. 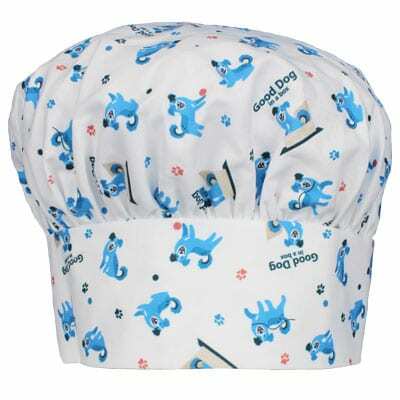 Hat features our very own blue dog and matches our kid’s apron. One size fits all. Hand made by seniors in the USA out of 100% cotton. 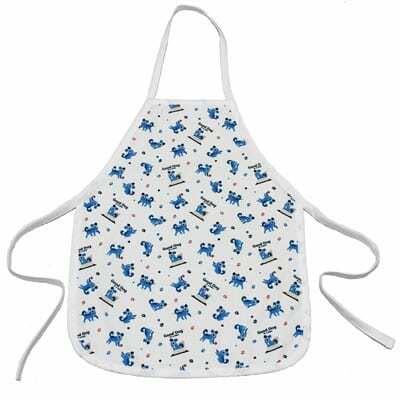 Apron features our very own blue dog. Two sizes for kids: small and large. Reversible dog bandanas handmade by seniors in the USA. No two are exactly alike. Made of 100% cotton. Available in 5 sizes. 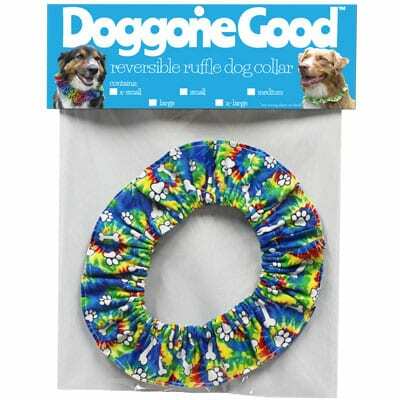 Reversible ruffle dog collars handmade by seniors in the USA. No two are exactly alike. Made of 100% cotton. Available in 5 sizes. 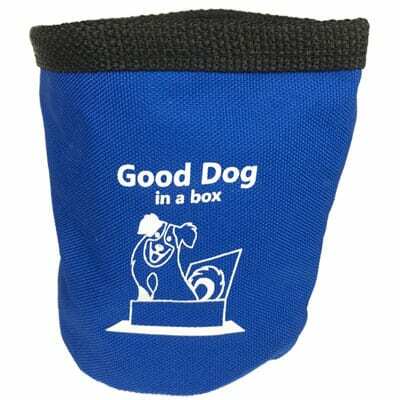 Our treat pouch is a must have for dog owners. Features a belt clip, drawstring, and back pocket for waste bags.